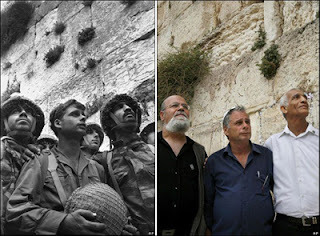 Three former Israeli paratroopers return to re-enact their famous photo at the Western Wall, taken shortly after Israel's success in the Six Day War. You can learn more about the incident and the resulting iconic photo here. Indeed I am. But also a fan of incredibly telling photography.